As the discussion that follows will demonstrate, I would not argue on behalf of all that Rabbinic authorities have asserted about Oral Torah. For example, I would not advocate the view that the teaching now found in the vast Rabbinic corpus was revealed to Moses at Sinai. Still, I would contend that the term is useful, for it rivets our attention on the central issues we must confront: Does the Written Torah require an ongoing tradition of interpretation and application in order to become a concrete reality in daily Jewish life? Does the tradition of interpretation and application of the Written Torah developed and transmitted by the Sages have any kind of divine sanction? I assume that at least some of you who read my previous blog post about the “Oral Law” also clicked in the link I provided and read Dr. Kinzer’s paper. After I read it, I found myself pondering certain matters brought up by Kinzer, namely whether or not whatever we consider to be “Oral Torah” is at all authoritatively binding on the Jewish people as a whole or conversely, specific local communities of Jews. Of course, why should I care? I’m not Jewish. Nothing we could consider a “Rabbinic ruling” was ever intended (perhaps with rare exception) to apply to a Gentile and particularly a disciple of Yeshua (Jesus). But as I’ve mentioned before, Christians have used the Talmud and the wider concept of the Oral Law as one of their (our) clubs or blunt instruments with which we’ve battered, bruised, and bloodied (both literally and figuratively) the Jewish people across the history of the Church. If nothing else, it behooves us to take a closer look at our own behavior and whether or not we are actually opposing God in opposing Jewish traditions. I know the concepts of “Oral Law,” “Jewish Tradition,” “Talmud,” and other similar labels are not exactly synonyms but they all point to the central question of whether or not the Torah contains all that a Jew needs to know to obey God and live a proper Jewish life. I’m not even arguing for the idea that the traditions as we find them today in Judaism were delivered whole to Moses on Sinai. I began this blog post quoting Kinzer who also does not believe such a thing. What I want to explore is whether, both in ancient and modern times, those who lead or rule the Jewish people have the right, as appointed by God, to interpret the Torah and then to have those interpretive rulings be binding for general or local populations of Jews. This idea probably seems a little ridiculous to many Christians, but I think Kinzer made a good point that it is at least possible that leaders in Israel have had and do have the divine right to issue halachah and expect that halachah to be adhered to, with penalties for non-compliance. According to the terms of the law which they teach you, and according to the verdict which they tell you, you shall do; you shall not turn aside from the word which they declare to you, to the right or the left. The man who acts presumptuously by not listening to the priest who stands there to serve the Lord your God, nor to the judge, that man shall die; thus you shall purge the evil from Israel. Then all the people will hear and be afraid, and will not act presumptuously again. This is one of the foundational scriptures that establishes a divinely appointed right of the Priests in Israel to issue authoritative rulings with consequences if their rulings are disregarded. The Lord therefore said to Moses, “Gather for Me seventy men from the elders of Israel, whom you know to be the elders of the people and their officers and bring them to the tent of meeting, and let them take their stand there with you. Then I will come down and speak with you there, and I will take of the Spirit who is upon you, and will put Him upon them; and they shall bear the burden of the people with you, so that you will not bear it all alone. So Moses went out and told the people the words of the Lord. Also, he gathered seventy men of the elders of the people, and stationed them around the tent. Then the Lord came down in the cloud and spoke to him; and He took of the Spirit who was upon him and placed Him upon the seventy elders. And when the Spirit rested upon them, they prophesied. But they did not do it again. It’s important to note that, as was established earlier (Exodus 18:17-26) these judges were to hear the common disputes among the individual tribes and clans of the people and issue binding rulings, and only the most difficult cases were to be brought to Moses. This means there were many local judges who had the authority to make legal decisions and establish binding procedures, resolving disputes, including any over how a particular mitzvah (commandment) was to be carried out. It’s critical to realize that these seventy elders or judges were not relying only on their human wisdom, nor were they only appointed by Moses. We saw in the Numbers 11 passage these elders being appointed and approved of by God as evidenced by the Holy Spirit resting upon each of them. The importance of this central judiciary and its role as the latter day expression of the Mosaic office becomes clearer with a careful study of the pericope. The passage begins by directing that certain types of cases should be brought from the local courts to the central court. These are cases that are “too difficult for you (yipalay mi-mecha),” and that involve homicide (beyn dam le-dam), personal injury (nega), or disputes over the appropriate law (din) to apply (Deuteronomy 17:8). The meaning of this last type of case (beyn din le-din) will become clear in a moment. The central court shall hear the case, and render a decision. The persons involved are not free to disregard this decision, but “must carefully observe all that they instruct you to do” (ve-shamarta la’asot ke-chol asher yorucha) (Deuteronomy 17:10). The words “carefully observe” (shamarta la’asot) appear frequently in various forms in Deuteronomy, always enjoining obedience to the words of the Torah itself. Here they enjoin obedience to the high court. Thus the Priests and Judges were divinely empowered to interpret the Torah and to issue what amounts to extra-Biblical halachah as to how to perform the mitzvot, and these rulings were legally binding for the immediate situation and across time. We can certainly see where the later Rabbis get the idea that God authorizes all leaders and teachers of the Jewish people to be able to issue binding halachah. But you are probably saying that in the Apostolic Scriptures, we only see the Holy Spirit being granted to disciples of Yeshua (Jesus). Doesn’t this mean that, even if this authority continues to exist, it is only available and effective within the Church? If the answer to that question is “yes,” then God has abandoned the Jewish people, national Israel, and every single promise He made as part of the Sinai Covenant. But as you know, I don’t believe that the Sinai Covenant was rendered void because Yeshua inaugurated the very beginnings of the New Covenant, nor to I believe one covenant ever replaces another. So if the Sinai Covenant remains in effect, then God’s relationship with all Israel remains in effect, both with Messianic and all other branches of Judaism. I’ve also said before that a Jew is the only person automatically born into a covenant relationship with God, whether he or she wants to be or not. You don’t have to be a religious Jew to be a part of the covenant, you just have to be a Jew. So if under the Sinai Covenant, God established that Judges and Priests have the authority to issue binding rulings upon the Israelites, we can at least suggest that authority moved forward in time and across ancient and modern Jewish history. But does having authority automatically make you right? Then Jesus spoke to the crowds and to His disciples, saying: “The scribes and the Pharisees have seated themselves in the chair of Moses; therefore all that they tell you, do and observe, but do not do according to their deeds; for they say things and do not do them. I’ve previously referenced Noel S. Rabbinowitz’s paper (PDF) as evidence that Yeshua, though he had specific disagreements with the Pharisees, recognized that they had the authority to issue binding rulings on the Pharisaic community (and Yeshua’s teachings were very much in keeping with the Pharisees generally). If the Master acknowledged Pharisaic authority, this suggests that what once rested upon the Priests and Judges of ancient Israel was passed down to later authorities, and these authorities would eventually evolve into what we now call Rabbinic Judaism. We even see Yeshua granting his own apostles that same authority; the ability to issue binding rulings upon the Jewish and Gentile disciples in “the Way”. The concept of binding and loosing isn’t always well understood among some Christians. 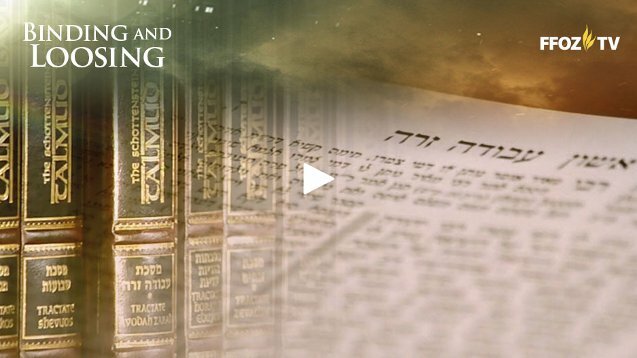 For an excellent treatment of what these legal terms mean in Judaism, please see the First Fruit of Zion (FFOZ) video teaching on binding and loosing which I reviewed some time ago. The video is only about thirty minutes long and well worth your time in helping you understand this important concept and how it applies to the current conversation (the image above isn’t “clickable” but the links in this paragraph are). As far as how the ancient Messianic community applied this authority, the most famous example can be found in Acts 15. Here we have James the Just, head of the Jerusalem Council of Apostles and Elders, issuing a legal ruling after the Council had heard testimony, deliberated, and cited Biblical proof text. This ruling established the requirements and limitations regarding the entry of Gentiles within Messianic Jewish community, specifically exempting them (us) from having to undergo the proselyte rite and convert to Judaism as a requirement of admission. The importance of this text for our purpose cannot be underestimated. Yeshua here employs the same verse to justify the halakhic legitimacy of the Pharisaic teachers as is later used in Rabbinic tradition to justify the halakhic legitimacy of the Rabbis. As we have seen, such a reading of Deuteronomy 17:10 suits well its original function within the Pentateuch. Though Matthew 23 proceeds to castigate those very same Pharisees for their unworthy conduct, this fact only throws the initial verses into bolder relief. In effect, the Pharisaic teachers have authority to bind and loose – even as the students of Yeshua have authority to bind and loose. This view of the Oral Torah does not see it as a solidified code, given once for all to Moses on Sinai, and differing from the Written Torah only in its mode of transmission. Instead, it sees the Oral Torah as the divinely guided process by which the Jewish people seeks to make the Written Torah a living reality, in continuity with the accumulated wisdom of generations past and in creative encounter with the challenges and opportunities of the present. It thus presumes that the covenantal promises of Sinai – both God’s promise to Israel and Israel’s promise in return –remain eternally valid, and that the God of the covenant will ever protect that covenant by guiding His people in its historical journey through the wilderness. I’ve heard the Torah compared to the United States Constitution. If the only Constitution we had was the original document from almost two-and-a-half centuries ago, it would be hopelessly archaic and incapable of dealing with many legal and social issues that exist in modern times but could never have been dreamed of by America’s Founding Fathers. If we didn’t have the ability to periodically amend the Constitution, we’d probably have to write new constitutions every so many years, just to keep the basis for our Government relevant. So too with the Torah. Many of the issues facing modern Jews today could not have been taken into account when it was originally established. Even between the days of Moses and the days of Yeshua, hundreds, thousands, or more legal decisions and interpretations probably had to be made to address the shifting circumstances facing the Jewish people. After the fall of Jerusalem and the destruction of Herod’s Temple, with the Jewish people facing a seemingly endless exile, the Torah had to continue to be interpreted and legal rulings issued to ensure Jewish survival in a hostile world and across the changing landscape of history. But you may disagree with my assessment and feel I haven’t proven my case. I really am not trying to provide definitive proof but rather, to open the doors to possibility. For many more details on this topic than I can provide here, I refer you to Dr. Kinzer’s original paper. All I’m saying is that, given the “paper trail” I’ve attempted to lay down and my faith that God has not abandoned the Sinai Covenant or His people Israel, I don’t think that what He once gave them, a method of continually evolving Biblical interpretation, died on the cross with Jesus. I don’t think that God gave Moses what amounts to our modern understanding of the Talmud on Sinai 3500 years ago. I do think, at best, God gave Moses some general principles by which to interpret the written Law and gave other Priests and Judges (not just Moses) the authority to establish traditional methods of observing the mitzvot that aren’t explicit or even existent in the written Biblical text. If that authority extends to the present, then we have to take another look at Rabbinic authority within the different streams of Judaism and the large and complicated body of work we collectively refer to as Talmud. A final note. Are all of the rulings of the Rabbis absolutely correct and is Talmud perfectly internally consistent? Probably not. To the degree that the Sages were human, then they were driven by human as well as divine priorities making them, like all men of authority (and all men everywhere) capable of all kinds of error. Yeshua, while he agreed (in my opinion) that the Pharisees had the authority to issue binding halachah, didn’t universally agree with their rulings (see Matthew 15:1-20; Mark 7:1-23 for example). Even less often noticed is the fact that the ritual norms that Yeshua upholds in this text are not found in the Written Torah, but instead derive from Pharisaic tradition! The tithing of small herbs such as mint, dill, and cummin was a Pharisaic extension of the Written Torah. Yet, according to Matthew, Yeshua not only urges compliance with this practice – he treats it as a matter of the Torah (though of lesser weight than the injunctions to love, justice, and faithfulness). This supports our earlier inference that Yeshua’s teaching and practice encourage the Pharisees to think of him as one of their own. His criticism of the Pharisees (or, to be more precise, some of the Pharisees) is a prophetic critique offered by one whose commitments and convictions position him as an insider rather than an outsider. Assuming I’m right about all this, I suspect when Yeshua returns, he will perform a similar function among his modern Jewish people, the nation of Israel, and encourage corrections and improvements on existing halachah and the traditions of Torah interpretation. I believe he will do so as a matter of his love for the Jewish people, not as a matter of criticism or censure. I believe we Christians, or whatever we call ourselves, dismiss God’s love for the Jewish people and His presence among them and their Rabbis at our extreme peril. Our redemption comes from the Jews (John 4:22) not the other way around. I certainly agree that Rabbi’s have authority over their flock, just as Pastors do as well, I think authority is clearly a Godly principle. I also agree that God is still with Judaism, He has not departed His people and never will. However, we can’t simply apply Deut. 17 out of context. While it can be suggested, it is unrealistic given the context of this verse. If we take it out of its context, then we can apply this verse to anything we want and that is what Kinzer seems to be doing, but I am only basing this point on what you quoted, I downloaded the PDF, but have not yet read it, if I see something different, I will update. The translation of the Hebrew text in Shem-Tov’s Hebrew Matthew, according to Nehemiah Gordon, a decent Hebrew Translator, say’s that the King James Version as translated from the Greek, and all other Greek translation’s have it wrong, because they are going from many bad copies of various Greek manuscripts, and not the Hebrew, that do not translate the idioms used, and have in error in who is saying what from Mose’s seat. If Yeshua said in the original Hebrew of Matthew to follow what Moses said, then the Pharisee’s authority is incorrect. People will argue about this until Yeshua returns, but Yeshua said He did not come to alter Torah, said Torah was to be in effect, and never disputed Moses. The entire trend of Yeshua’s statements except for Matthew 23:2-3 are to follow Torah. The Oral Law was not written down when Yeshua was alive, and because there is no ‘Talmud’ from prior to 200AD, I can’t give the Sages as much weight as I give Yeshua’s teachings. The Jews have the right to do as they wish, and mostly being Rabbinic Jews, will stay with the Sages. They have the right to be wrong. I am studying Hebrew for just this reason…I don’t trust the translator’s either. (2) Al ki-se Mo-she yesh-vu ha-pi-ru-shim ve-ha-cha-cha-mim. (3) Ve-a-ta, kol a-sher yo-mar la-chem shim-ru va-asu u-ve-ta-ka-no-te-hem u-ma-a-se-hem al ta-a-su she-hem om-rim ve-hem e-nam o-sim. This translates into English: (2) The Pharisees and sages sit upon the seat of Moses. (3) Therefore, all that he says to you, diligently do, but according to their reforms (takanot) and their precedents (ma’asim) do not do, because they talk but they do not do. Ah, yeah, “Q”, — Nehemia Gordon is a neo-Karaite, that is to say he follows a Sadducean position against the Pharisees whose general approach and authority Rav Yeshua supported. I also possess the Ibn Shaprut text, and rendering what is written there as “asher yomar lachem” and translating it as “that he says to you”, as if it referred to Moshe rather than to the subjects of the sentence who were the P’rushim and ‘Hachamim, is not accurate. It is more accurate and truer to the context and grammar to render it as “asher ye-amer lachem” (i.e., “that shall be said to you” [implicitly: by them]). @Zion: I certainly encourage you to read Kinzer’s paper before rendering an opinion, since, by necessity, I could only cite limited portions. Also, I can get things wrong and I’d hate for anyone to misjudge Kinzer (or anyone else) based on my mistakes. That said, while I don’t think we can draw a completely unbroken line between Deut. 17 and the present day Rabbis, the corpus of Jewish tradition on the matter of authority at least suggests that God may be influencing and inspiring the Rabbis in the same or similar manner as God inspires Spirit-driven Pastors and other Christian clergy. If that’s true, then we might want to take another look at the result of Jewish “Spirit-driven” authority, that is, Talmud and halachah, at least for the sake of its application to religious Jews. @Questor: I can’t say that I’m much of a fan of Nehemia Gordon. As a Karaite Jew, by definition, he’s going to oppose Talmud and most of Jewish tradition. I fail to understand his fascination with the Hebrew Roots movement since he’s hardly a believer in Yeshua, unless he just enjoys having an audience. I would consider his opinions on Talmud and the Apostolic Scriptures to be at least questionable. People will argue about this until Yeshua returns, but Yeshua said He did not come to alter Torah, said Torah was to be in effect, and never disputed Moses. Alter, no. Interpret, yes. Yeshua quite freely interpreted Torah on numerous occasions, debating with the Pharisees and Scribes the proper application of the mitzvot and the relevant halachah (how to observe Shabbos, for example). I believe I compared Torah to the U.S. Constitution in this or a related blog post, and said that both documents would have quickly become anachronistic without the ability to create “evolutionary” interpretations with the passage of time and in terms of changing social requirements. How do we understand the Torah’s commandments in relation to indentured servanthood and poverty in our modern world? What about the commandment that a woman not dress in man’s clothing relative to things like women wearing slacks or jeans? It’s not easy to say that the Torah never changes and then to attempt to live a lifestyle that is totally consistent with only the written commandments of the Bible. An author and researcher named A.J. Jacobs (who is a secular Jews) wrote a somewhat tongue-in-check account of such an attempt in his book The Year of Living Biblically and, to say the least, his report is quite revealing. As I said above, I’m not arguing for an unchanging oral Torah that accompanies a written Torah with both being given to Moses at Sinai. I’m arguing for a continued tradition of authority in religious Judaism that allows Rabbinic Sages and Poskim the ability to render binding decisions and interpretations of Torah based on the changing historic, cultural, and social needs of their various Jewish communities. As far as not trusting translators, I think you’ll find as your Hebrew studies progress, that the matter of translating the Biblical texts isn’t just a matter of understanding the language. Biblical scholars have been debating translation, cultural context, and many other influences in understanding what the Bible is saying since (probably) the days of Moses. Certainly Yeshua had those debates with the scholars of his day. We have them with us today. Bible study isn’t a matter of always finding concrete answers that never change but rather struggling with the questions and thus our relationship with God. How is this different from the place where most people think something in the apostolic writings is referring to Yeshua, but you said it’s about Torah? Not remembering exactly what that was right now; maybe you will recall (it wasn’t very long ago here). @Marleen — To whom were you directing your question? Were you perchance asking me (i.e., PL) about my invocation of Hebrew grammar to recognize the subjects and objects of a sentence in its context? And if so, were you asking also about another case I’ve cited occasionally wherein Rav Yeshua used an idiomatic reference to the Torah as the way, the truth, and the life, indicating that he himself was a living embodiment of Torah in the same new covenant pattern described by Jeremiah about the Torah being written on Jewish hearts so that obedience would become second nature? Hence the object “me” in the sentence could be understood as referring to the Torah as the means to approach the Father (rather than to Rav Yeshua personally) or it could refer to Rav Yeshua’s example of becoming a living new covenantal embodiment of that Torah which was necessary to approach the Father. In either case it is certainly true that both context and idiom are critical to properly interpreting what is written. Yes, I meant to address the question to you, PL. Thank you. Neither am I. I merely stated that I would put Yeshua’s overall slant on the Torah over the Sage’s, which, not being Jewish, is very easy for me to do as I don’t follow the traditions that would hold in even a Messianic Orthodox Jewish community, could one be found. Yeshua kept traditions that He was raised in that I know nothing of, and will find it difficult to learn about until He returns. Those traditions, however, are a part of normative Judaism so far as I can see…I have no way to discern where Yeshua’s traditions in AD 30 contradict what the Sages recorded after AD 165 except where He is specifically recorded in the Apostolic Scriptures as disputing…which seem to be about not following man’s traditions over the plain meaning of the Torah. I do find it interesting that the Jerusalem Council, in their only known halachic statement (Acts 15) followed Torah, not the traditions of the Elders, and in 1st century Nazarene Judaism allowing table felllowship with Gentiles was a point of contention with the existing other Judaic sects of the time. Unfortunately, only the Pharisees survived the fall of Jerusalem as a cohesive group in Judea, so we do not have the opinions of the Sadducees or Essenes, and have precious little of Nazarene Judaism to discuss, nor do we know whether the Babylonian Talmud took into account any viewpoint but that of the Pharisees. As for me, or any Gentile, or group of Gentiles that are Messianic, but not observant in an orthodox sense, why would we have a right to dictate to the Jews what they should or should not do in regard to their own traditions? As best as can be seen from the history of the Mishna, Gemara, and Talmud, each community, being distanced from each other, tended to rely upon Sages from specific periods that everyone agreed on, but then made halachic interpretations according to the facts on the ground in their own community. Looking at their era and circumstances, this seems to be quite reasonable. Not being a Hebrew Scholar, I can’t know the exact rendering of the text. Naturally, being a former Orthodox Jew, turned Karaite Jew, Gordon has a specific dog in the hunt as to why the Orthodox Sages should not have taken Oral Law to a written point, much less as ‘more correct than Torah’. That is not his argument, nor does he seem to put forth more than his own surprise that Yeshua seemed more Karaite to him than Pharasaic in Yeshua’s specific arguments with the Pharisees in the Apostolic Scriptures. I did find persuasive the arguments that Gordon put forth in his book ‘The Hebrew Yeshua vs The Greek Jesus’ that lead him to his interpretation of the Hebrew Matthew as “asher yo-mar la-chem “. However, it is the rendering of the remainder of the Hebrew Text of Matthew 22:3 as regarding “takanot” and “ma’asim” that interested me, and the specific argument regarding “because they talk but they do not do” as pointing back to, and echoing 2 Kings 17:34. “they do not fear YHWH, and they do not do”. However, I do not consider Gordon’s opinions except as a scholar of ancient documents, which he has some repute for, nor am I attempting to claim that “asher yo-mar la-chem” is the best reading of Hebrew Matthew 23:3. I am stating that Matthew 23:2-3 is in dispute, and no more, and that the dispute should be taken into account in regards to Yeshua’s general teaching to not follow men’s traditions. I take Yeshua’s words about following Torah very seriously, and certainly more seriously than I do the Sages, as I am A Messianic Gentile, not an Orthodox Jew, whether Messianic or not. More and more I look forward to Yeshua’s coming so that these difficulties can be ironed out by His own rulings as King of Kings and High Priest. Until then, we all need the Sages to fill in the corners of our understanding of Torah, and how to apply Torah to our own lives. Most certainly, the Orthodox Jews need to order their own halachah as they see fit for their communities, and Reform Rabbi’s for Reform Jews, and Conservative Rabbi’s for Conservative Jews. Still, we are all standing on Torah, and the love of YHVH, so at least we have something in common. It would be nice if there were any agreed upon halachah for Messianic Jews & Gentiles, but I think that the Jewish Messianic Evangelists on the ground in Israel are more concerned with finding a way to reach people who are afraid to look at Yeshua because of their Rabbi’s instructions to do as they say and do, or to reach the secular Jews who are rarely going to worship anywhere because they do not like the Rabbi’s interpretation of how they should live as a Jew, than they are to ever be concerned about a specific set of halachic rulings set forth by any Messianic group claiming authority over them. But when I went to look in the Hebrew text of Matthew I found something quite different: (2) Al ki-se Mo-she yesh-vu ha-pi-ru-shim ve-ha-cha-cha-mim. (3) Ve-a-ta, kol a-sher yo-mar la-chem shim-ru va-asu u-ve-ta-ka-no-te-hem u-ma-a-se-hem al ta-a-su she-hem om-rim ve-hem e-nam o-sim. This translates into English: (2) The Pharisees and sages sit upon the seat of Moses. (3) Therefore, all that he says to you, diligently do, but according to their reforms (takanot) and their precedents (ma’asim) do not do, because they talk but they do not do. In the Hebrew Matthew, Yeshua is telling his disciples not to obey the Pharisees. If their claim to authority is that they sit in Moses’ Seat, then diligently do as Moses says! To understand what happened, we must compare the Hebrew with the Greek. That this is the basis for a completely different message is amazing because vav is one of the smallest letters in the Hebrew alphabet, really just a single stroke! The addition of this tiny letter changes Yeshua’s message from an instruction to obey Moses (“all that he says”) to a commandment to obey the Pharisees (“all that they say”). In contrast, in Greek the difference between “he says” (eipei) and “they say” (eiposin) is a much larger difference. This suggests that the Greek translator misread the Hebrew text as containing that extra vav. Maybe this Greek translator did not even understand who or what the Pharisees were all about! The Rabbis themselves distinguish between biblical law and their own invented laws which they call takanot, “reforms.” The Jastrow Dictionary, the standard lexicon for post-Tanach Hebrew, gives the following example of how the word takanot is used: Do you call these halakhoth (legal decisions)? these are reforms [takanot] (changing the Biblical law). If Shem-Tov’s text of Matthew is correct, then Yeshua was warning his disciples not to follow the takanot or man-made laws of the Rabbis. Of course, this is consistent with what Yeshua taught his disciples in Matthew 15:3ff., “Why do ye also transgress the commandment of God by your tradition?… ye made the commandment of God of none effect by your tradition.” [KJV]. 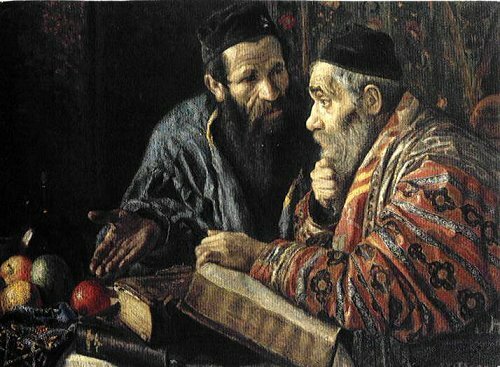 Like the Karaite sages of the Middle Ages, Yeshua accused the Pharisees of putting their own invented laws above the law of the Torah. Interestingly, in the Hebrew of Matthew 15:3 the word translated as “tradition” is also takanot, “reforms that change biblical law”! So in the Hebrew Matthew there is a consistent thread throughout the book. Yeshua is preaching against the takanot, the Pharisaic reforms that change biblical law. In the Greek Matthew 15:8-9 Yeshua then accuses the Pharisees of “teaching for doctrines the commandments of men,” supposedly a quote from Isaiah 29:13. However, this is not exactly what Isaiah says. Isaiah actually talks about “learned commandments of men.” Incredibly, the Hebrew Matthew has the precise quote from Isaiah, word for word. Greek Matthew 15:9 “teaching for doctrines the commandments of men” ;Hebrew Matthew 15:9 “learned commandments of men” ;Hebrew Isaiah 29:13 “learned commandments of men” . This is very significant, because if Shem-Tov Ibn Shaprut were translating from Greek and caught the New Testament misquoting Isaiah, he would have wanted to preserve that misquotation as accurately as possible to use as ammunition in his debates with the Catholics. But, if Shem-Tov’s Hebrew Matthew is really a translation from Greek, then why do its quotations of the Tanach match the original Hebrew word for word, when the Greek quotations are at best paraphrases? But Yeshua was talking about the ma’asim of the Pharisees which is something very specific. When a Pharisee does not know the law in a particular situation he looks for a precedent from one of his teachers. The Pharisees reason that if one of their teachers did a certain act it must be what the Oral Law requires. This is called a ma’aseh or in plural ma’asim “precedents.” This concept is canonized in the Talmudic rule ma’aseh rav “precedent is a teacher” (Babylonian Talmud, Sabbath 21a). The Talmud cites numerous ma’asim from which practical laws are derived. For example, the Rabbis have a rule that it is permissible to use a ramp built by a Gentile on the Sabbath if it was not built specifically for the Jew. This strange Rabbinic ruling is derived from the following precedent: A ma’aseh in which Rabban Gamaliel and the elders were traveling in a ship, when a gentile made a ramp on which to descend, and Rabban Gamaliel, and the elders descended by it. (Babylonian Talmud, Sabbath 122a) The Rabbis assumed that Rabban Gamaliel and the elders could not have sinned and therefore the fact that they used a ramp built on the Sabbath proves this is a permissible act. Gordon, Nehemia (2009-03-13). The Hebrew Yeshua vs. the Greek Jesus (Kindle Locations 693-695). Makor Hebrew Foundation. Kindle Edition. It seems to me, my dear Q, that this discussion may hinge entirely upon one simple presupposition (or perhaps it may be called presumption): which is that Matthew wrote his gospel with a view of Rav Yeshua in antagonism against the Pharisees. If, however, that reading is mistaken and merely colored by later polemical antagonism, and Matthew merely intended to illustrate a lively engagement with them in the manner demonstrated by intensive deliberation by rabbis in later Jewish literature, then our perspective becomes quite different. My perspective is therefore not supportive of such antagonism against an entire outlook, but limits it only to differing views of specific issues. Questor, you said that it’s unfortunate that the Pharisees were the only branch of Judaism to survive the exile from Israel nearly two-thousand years ago. Given that the Pharisees held a viewpoint most closely associated to Yeshua and the early Messianic movement, I don’t see this as unfortunate at all. I agree that Yeshua seemed to follow much of the halachah of the Pharisees (though apparently not all) as well as general perspectives on Torah, which makes him more a Pharisee than anything else. Certainly the Sadducees didn’t believe in angels or the resurrection, putting them in direct opposition with the Pharisees (such as Paul) and Yeshua himself. If Oral tradition is supposed to be fluid over time and not a fixed entity, we can’t necessarily say that whatever halachah that Yeshua followed should be what we (or at least Messianic Jews) should follow today. We aren’t living under the same conditions as existed half a world and twenty centuries away. That leaves us with the question of how Yeshua will consider present day halachah among the various streams of Judaism including but not limited to Messianic Judaism. I don’t think we can assume the answer, especially if that answer is the complete elimination of “the traditions of men” in favor of “Biblical Judaism” or “Torah Judaism,” since those concepts cannot be operationalized. I think that the loss of knowledge and perspective from the differing sects is a tragedy. I have no reason to want other people’s views, however different from my own, to be quashed. I do not say that the Pharisee’s did this, only that it happened, and we have lost much by not knowing why the Pharisee’s made some of their decisions. In some matters, such as divorce, Yeshua followed a much more conservative stance than the Pharisiee’s, and I would like to understand the viewpoint that such a decision was made from. Without the information, we can only guess, and I don’t like guessing. PL my friend, I don’t know enough about the subject to argue the differing points, but I agree that antagonism against any particular outlook on Torah as a whole, such as that that might be stated by presuming Yeshua was against any and all customs and traditions about Torah would be less than wise, rather than being aware He did not seem to support customs and traditions being put into place as doctrine, and that the information in the Hebrew Matthew 23:2-3 supports that view, as it speaks against “takanot” and “ma’asim” that the Pharasees were enjoining on the Jews. Without the information, we can only guess, and I don’t like guessing. To one degree or another, anything we think we know about what happened in the ancient near east thousands of years ago is something of an educated guess. That’s why researchers and scholars don’t always agree with each other about various aspects of Jewish life two-thousand or more years ago. What we know about the Pharisees in the days of Herod’s temple is probably just as accurate as what we know about the other branches of Judaism from those days. Modern Orthodox (or any other branch of) Judaism may have descended from the ancient Pharisees, but they aren’t the same entity. Judaism as “evolved” over the past twenty centuries as has Christianity. Modern Judaism and Christianity seem to have evolved in opposition to each other, which is only natural considering the circumstances after the fall of the Temple. Rome came in and killed off, enslaved, and dispersed the Jews, and only the Pharisee’s were granted leave to exit Jerusalem by the Roman’s during the siege, and thus were able to establish a new centre of study for Judaism. What Nazarene Jews that there were in Judea obeyed Yeshua’s warning, and went north to escape the massacre of the Jews in Judea. Jerusalem was levelled. Add the rebellion of AD135, and you have a great loss of all the streams of Judaic thought. Thus you have, in the shadow of the Romans, two sects of Judaism, one which had an arm of outreach to the Gentiles into Asia, Greece and Rome, and the one with communication to the Jews in Babylon. We know that Nazarene Judaism faded over many generations into ever lessening Torah Observant Greco-Roman Christianity, and the Judean and Babylonian Pharisees started writing everything they could recall down, so as not to lose the information, and with the Babylonians destroying or suppressing much of the Judean writings in favour of their own. Neither Modern Christianity nor Modern Judaism gives us a clear picture of 1st Century Judaism, and thus I stick to the Scriptures, with both the ‘Church Fathers’, and the ‘Sages’ to fill out the picture. Unfortunately the picture in the Scriptures is but a black and white sketch compared to the highly coloured paintings in Christianity and Judaism. 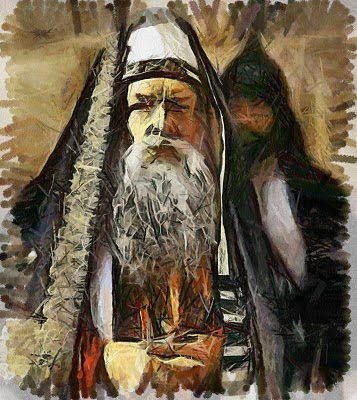 Those paintings give me a lot of information, but I prefer the simplicity of the black and white sketch when they are in contradiction as to how best to carry out Torah. I do, however, very much appreciate the Sages, indeed far more than the Church Fathers, for where the Sages may have erred, they at least did so in a thoroughly Jewish manner.